We’ve talked about the fact that millennials, the promising twenty- and thirty-somethings, are the enormous but challenging future of the worldwide housing market. Although they’re a generation who tends to leave their parent’s home the latest due to their student debts and a fierce housing market that has not yet adapted to the newcomers, they are coming into the picture now. 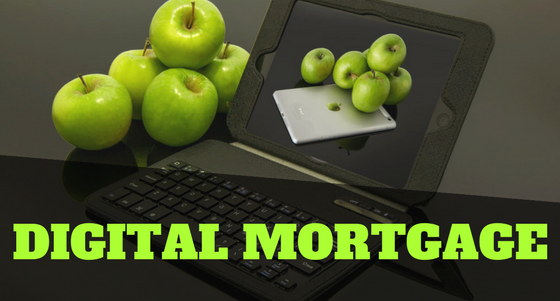 There’s a shift to be expected in the mortgage industry towards them. And that’s great news for the millennial generation. For example, for years the ultimate path to customer service was the phone. If you ask the millennials how they feel about that, most of them will say something along the lines of “ew, I hate phone calls”. A study by LivePerson reported by businessinsider.com shows that millennials would rather delete the phone app than SnapChat. “According to a 2013 Wall Street Journal article, millennials see the phone as ‘an interruption’ — picking up the phone ‘without emailing first can make it seem as though you’re prioritizing your needs over theirs.’” It’s time to start taking these statements seriously. This is particularly true in a world where the phone doesn’t actually get you to a person. Anyone can do anything with the help of a smartphone these days. Internet banking, online lending, travel booking, even studying or shopping, something we would have never even imagined ten years ago, let alone twenty. And their expectations from a mortgage lender aren’t any different. As you can see, all of these changes are not something you can turn around in a day. It’ll take a whole lot of work to make your business millennial-friendly, or in other words digital, flexible and more transparent than ever. Here are a few pieces of advice on how to start building your digital brand, making your mortgages more millennial-friendly. Enable the digital experience: Forget phone calls and junk e-mails. Texting, Tweeting, chatting on Facebook Messenger, Youtube videos, Instagram, or various online communities such as Reddit or public forums… Do your research of all the options you have to connect with people. Front-end tech: Loan officers, but not only them, have all had the habit of concentrating on their own smart systems for easier office work. But that’s changing as well. Mobile apps for scanning documents, electronic signatures, filling in forms or getting push notifications with all the updates are just examples of a way to add great value for millennial borrowers. Free resources: Speaking of adding value to your services, in the era of the internet not everything can be expected to be paid for, and not everything can be marketing, either. If you only offer paid e-books with great tips for first-time homebuyers, or if each of your blog posts includes self-promotion and dull advertising, you’ll soon be beat by your smarter colleagues who know that sharing reliable, helpful and free resources with your prospective and current clients is a great way of building trust,and also your own name.